I hope you all had a great weekend! We had a chilly, off and on rainy weekend, so leggings + an oversized blouse were just the ticket to stay warm and comfortable. Hopefully next weekend will be nothing but sunshine + pool time - fingers crossed! This is such a Modern-Day-Audrey look. Absolutely fabulous! 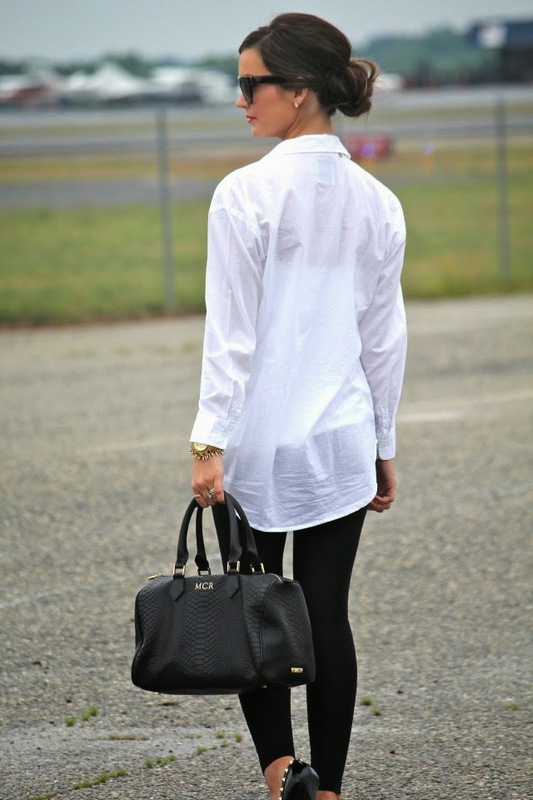 I love this entire look–from the oversized top to the leggings and the chunky necklace. Perfectly style without looking over-the-top. I love this outfit! It's such a classic look. Gorgeous shoes. Love the classic B&W combo! 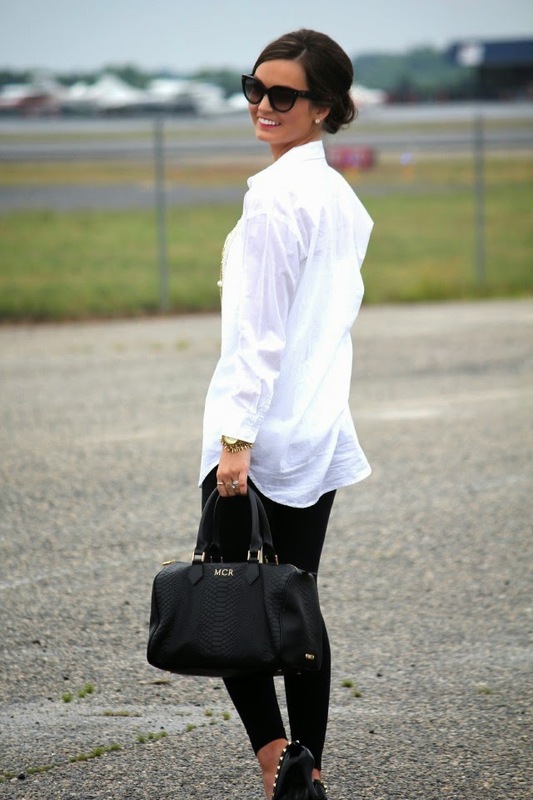 I love the look of an oversized button-down! I have one with my monogram from my sister's wedding, and I love wearing it with leggings for a casual-chic vibe. I'm loving this black and white combo! I love this look! So classic and pretty!